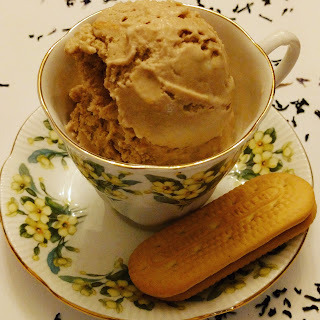 So, as promised, I made Earl Grey Vienna Finger Cookie ice cream for the youngerchild. Who am I kidding? It's really for me! First I made a creme anglaise, using milk that was steeped with Earl Grey tea for thirty minutes. Then I chilled that until it was time to freeze it in the ice cream maker. At the last minute I tossed broken cookies into the ice cream maker and then froze the mixed ice cream until dessert time. The tea was a gift from a friend and is one of those teas with the little blue flowers in it. It also seems to have pieces of bergamot peel. It's amazing. It's from the Spice and Tea Exchange. Mmm. 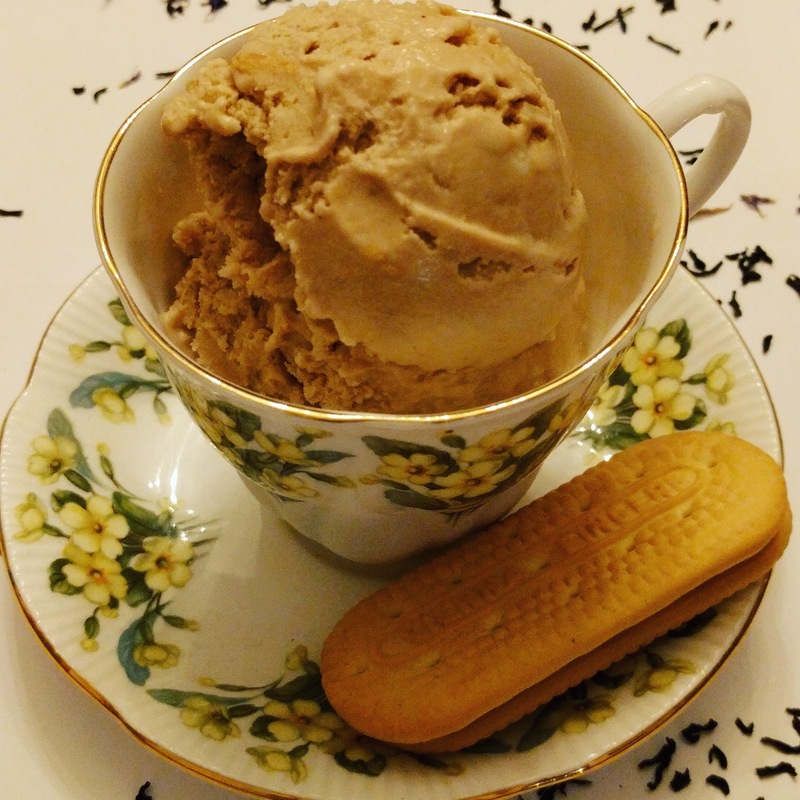 The only problem with making a lot of ice cream is that the recipe only uses egg yolks, not the whites. Now I have a lot of egg whites waiting for something to do. Maybe there will be some macarons in the near future?